Whenever an athlete fails for performance-enhancing drugs (PEDs), one of the first questions is always, who knew? Did their coach know? What about their teammates? Their strength and conditioning coach? What about their manager? Controversial mixed martial arts (MMA) manager Ali Abdelaziz — who manages such fighters as Kamaru Usman, Cody Garbrandt, Khabib Nurmagomedov and Frankie Edgar, among others — is getting ahead of these questions. He says he knows at least five people who are on EPO. Are they his clients, one wonders? He is referring, of course, to T.J. Dillashaw’s positive test for EPO, and the revelation in the aftermath that United States Anti-Doping Agency (USADA) doesn’t test for EPO as part of its standard routine — it requires a special test that it does not always run. USADA retested a sample from before the Henry Cejudo fight that also came back positive for the substance. This raised the question, if a retroactive test came back positive for the period prior to, say, a fight with Cody Garbrandt, should that result be overturned? We know how Garbrandt’s manager would vote. Suffice it to say that when you start out a sentence, “As a man of few words,” and the rest of that sentence is, “preferring passion and belief as a shield to be carried out upon, I am bemused to careless and reckless dialog for no other purpose than to make myself heard among the masses plagued by willful ignorance,” you already lost credibility. 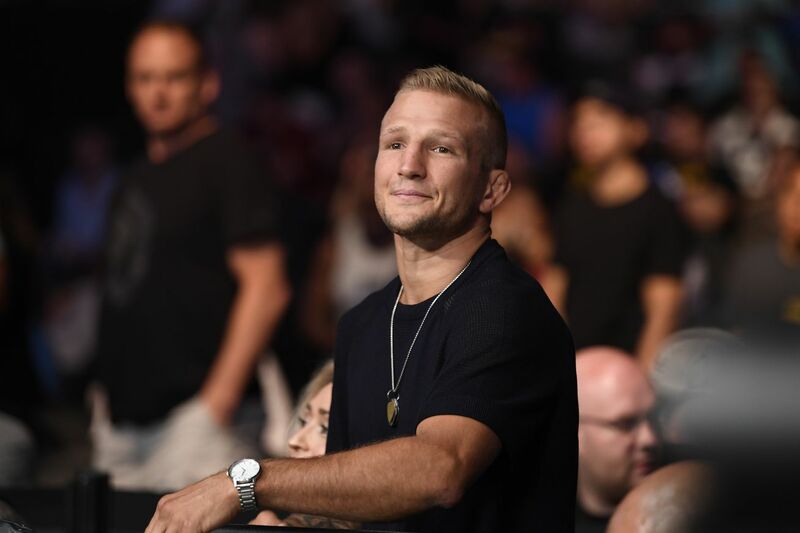 Dillashaw certainly has people talking, including Georges St-Pierre’s coach Firas Zahabi. Artem Lobov fails to see how Dillashaw is suffering. Max Holloway is the man! Good to know who tops McGregor’s No. 1 enemy list.
.@DustinPoirier says at #UFC236 open workouts that Max Holloway matchup "might be the best fight you've ever seen." He may be right.